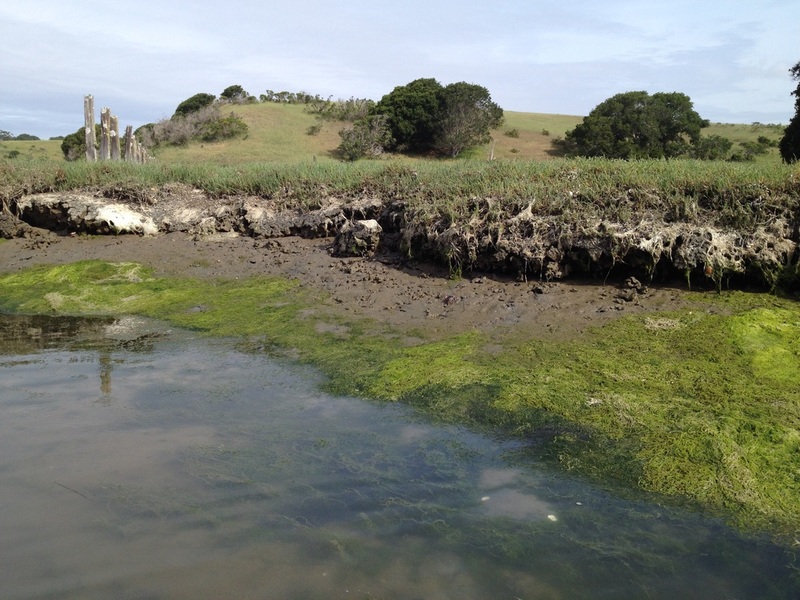 Salt marshes form along low-energy, temperate shorelines where they provide a breadth of valuable ecosystem services. Our lab studies the organization of these systems as well as factors that influence their resilience to global change. Below are several projects that demonstrate the kinds of research our lab conducts in southeastern US salt marshes, systems in close proximity to the University of Florida. Large-scale anthropogenic and climate-related disturbances are now common in ecosystems worldwide, generating widespread die-off and subsequent community recovery dominated by remnant-patch dynamics rather than open-gap dynamics (right and left panels in adjacent figure, respectively). Whether communities can recover and, if so, which factors mediate recolonization rate and extent remain unresolved. In our lab, we have been studying which factors permit patches of cordgrass, the foundation species that builds and maintains southeastern US salt marshes, to survive such disturbance event and how the spatial distribution of survivors influences the rate of ecosystem recovery. Using experiments, large-scale surveys, and literature reviews, I have been working with collaborators and my PhD and undergraduate students to understanding the effects of biological stressors, such as invasive species and super high densities of consumers, as well as human-mediate changes in bottom-up forces, on coastal ecosystems. Silliman B.R., Modzer T., Angelini C., Brundage J.E., Esselink P., Bakker J.P., Gedan K.B., van de Koppel J., Baldwin A.H.. 2014. 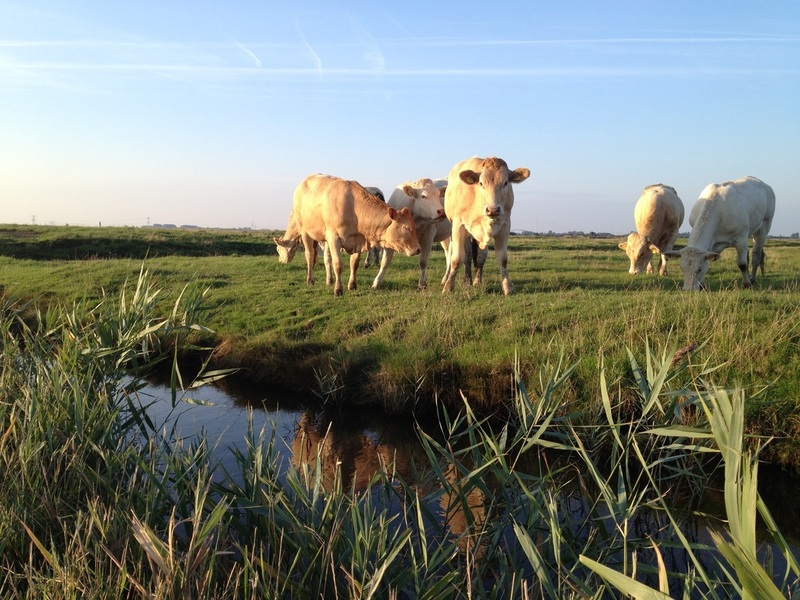 Livestock as a potential biocontrol agent for an invasive wetland plant. Accepted. PeerJ. Bertness, M.D., Holdredge, C., Altieri, A.H. 2009. Substrate mediates consumer control of cordgrass. Ecology 90(8): 2108-2117. 131-139. Holdredge, C., Bertness, M.D., Altieri, A.H. 2009. 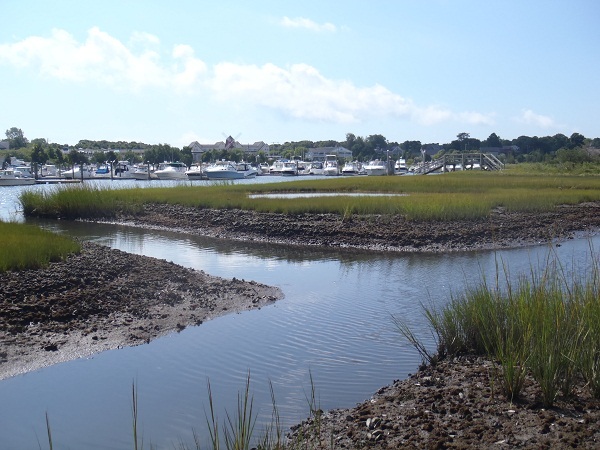 Role of crab herbivory in die-off of New England salt marshes. Conservation Biology 23(3): 672-679. Holdredge, C., Bertness, M.D. 2010. 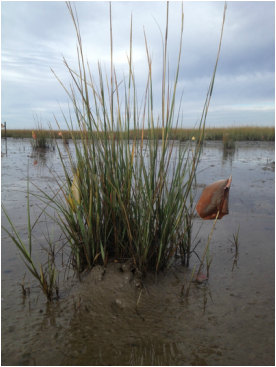 Litter legacy increases the competitive advantage of Phragmites australis in New England wetlands. Biological Invasions. DOI 10.1007/s10530-010-9836-2. Holdredge, C., Bertness, M.D., von Wettberg, E.D., Silliman, B.R. 2010. Nutrient enrichment enhances hidden differences in phenotype to drive a cryptic plant invasion. Oikos 119: 1776-1784.